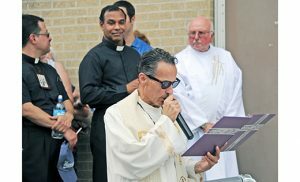 From July 9-16, the longest-running Italian festival once again took place in Hammonton. 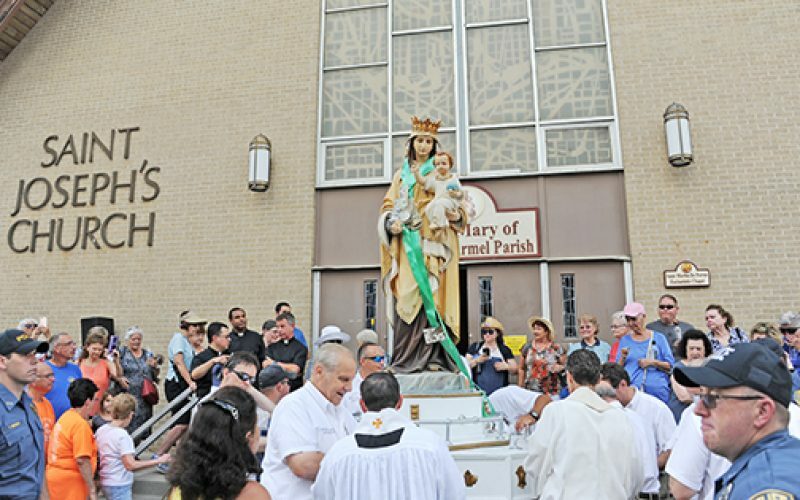 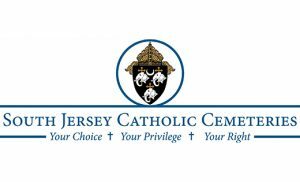 The 143rd Our Lady of Mount Carmel Festival, which remembers the appearance of the Blessed Virgin Mary to Saint Simon Stock, took place outside Saint Mary of Mount Carmel Parish’s Saint Joseph Church all week, with music, food, games and worship opportunities for all. 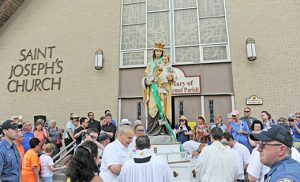 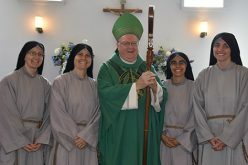 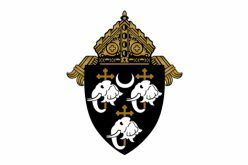 On July 16, the feast of Our Lady of Mount Carmel, Bishop Dennis Sullivan led faithful in a Eucharistic celebration, and the festival ended with a procession of statues through the town. Photo above: Worshippers prepare to process down French Street with the statue of Our Lady of Mount Carmel. 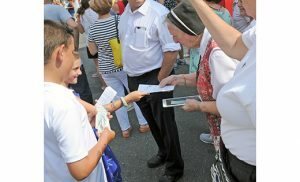 A religious sister receives spiritual literature from a youth. 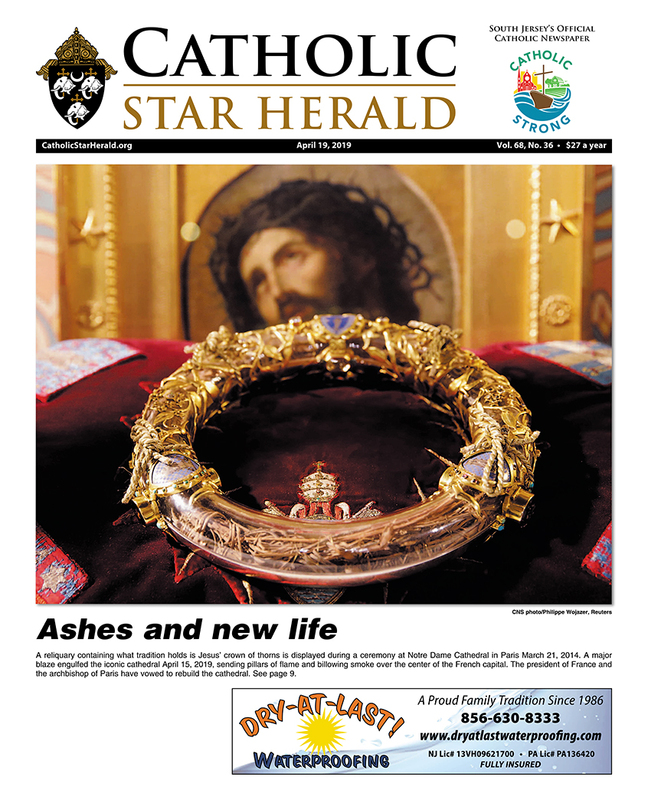 Father Joseph Capella, chaplain of the Our Lady of Mount Carmel Society, leads the gathered in prayer. 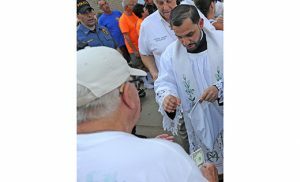 Father David Rivera, the parish’s parochial vicar, passes out the brown scapular, which was presented to Saint Simon Stock by Our Lady of Mount Carmel.